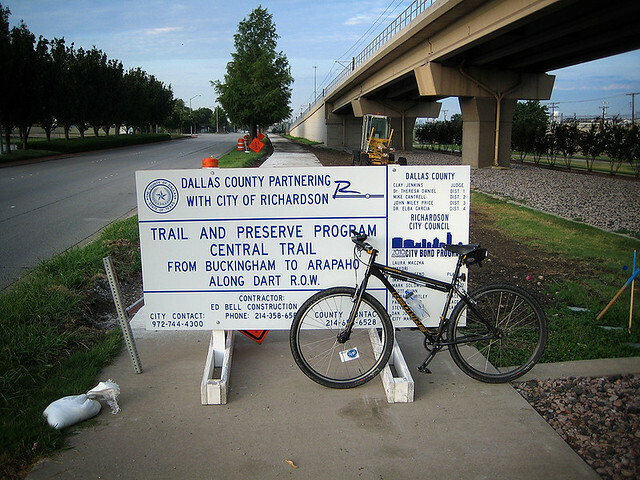 I ride the Red line fairly frequently and I noticed roadbed construction west of the tracks between Spring Valley Station and the Richardson city limit at Buckingham. On another note I see slow progress on what appears to be a bike path along the Blue line from a park I don’t know the name of adjacent to a fire station to just shy of Mockingbird Station. I don’t know what the delays are but they got almost done with the roadbed with actual concrete down in much of the path, but where there should be bridges I see incomplete approaches and gaps except for one bridge in the park I mentioned that has been installed but the paving of the deck and approaches is not started, and I haven’t seen any progress made in at least 2 months on any part. I have been watching this come together for the better part of 2 years. Thanks for the info. Please, keep us updated. 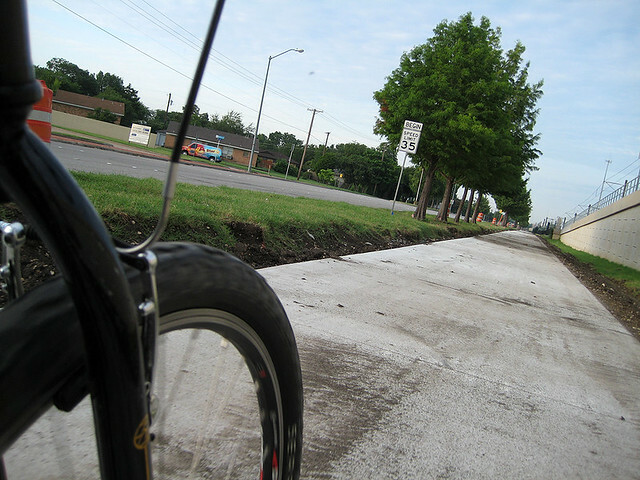 That would be the Ridgewood Trail, aka the trail formerly known as Katy Extension. They’ve had some issues with Rights of Way that had to be renegotiated but I believe those have been resolved. Last I heard, the crucial Mockingbird pedestrian bridge, was supposed to finally break ground June 18. 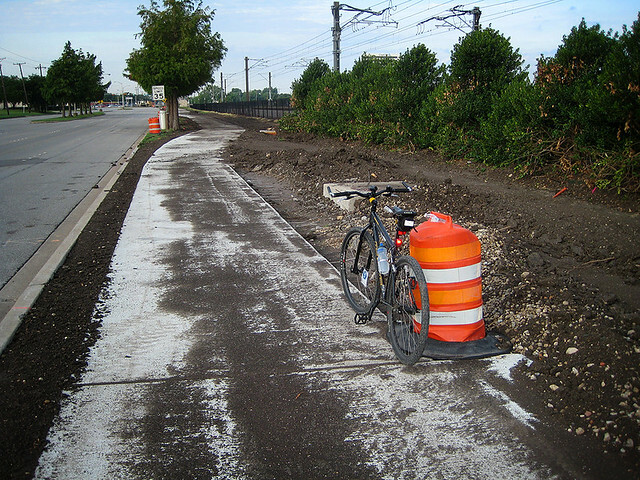 Update on the Red Line path the segment between Buckingham and Spring Valley appears complete but there is still much to do between Beltline and Spring Valley. 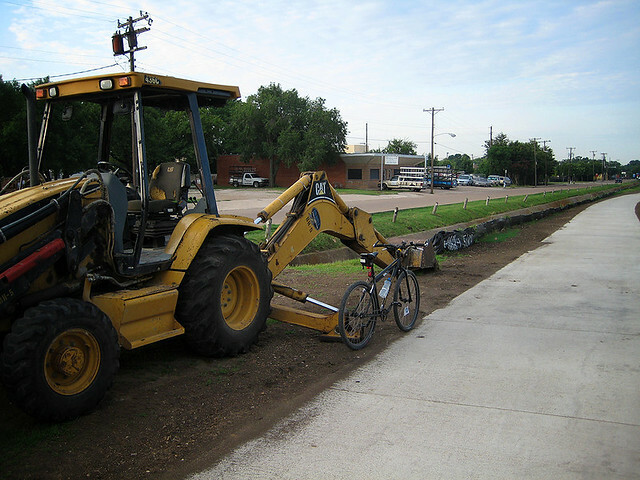 It looks like they are building a road rather than a bike path so probably this will be a maintenance access besides a bike path.